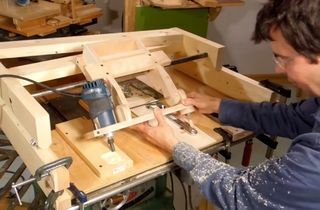 This is my 3-D router pantograph. 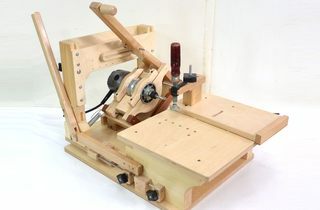 Unlike other router pantographs, this pantograph also controls the router's depth of cut. 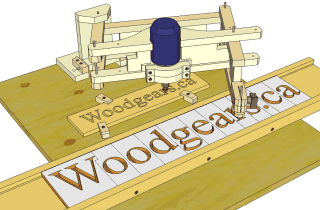 This is is achieved by tilting the whole pantograph back and forth as the follower moves up and down. 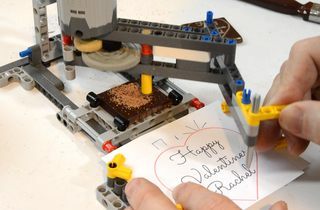 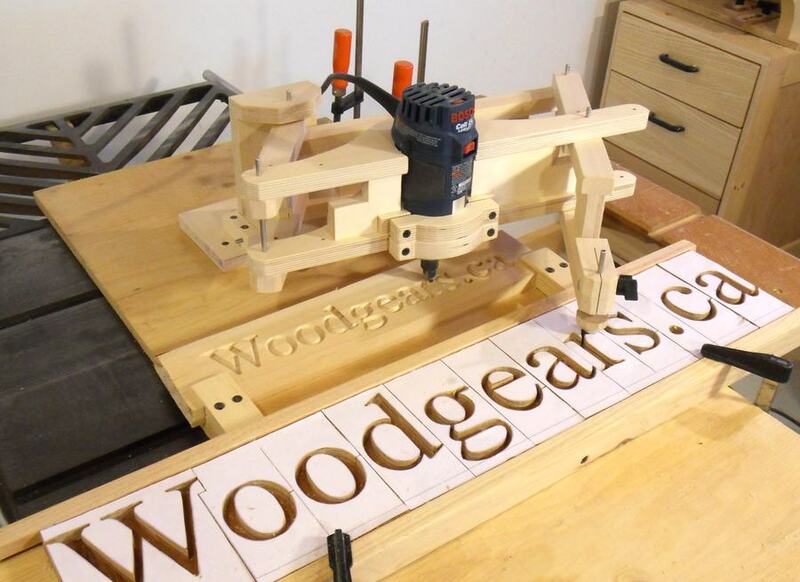 The pantograph supports the router's weight and thus precisely controls its height.